Hey, did you hear? Just one win effectively grants you a spot in the Chase for the Sprint Cup in 2014! 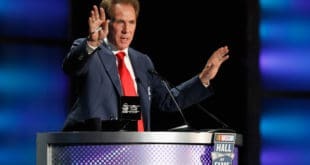 I think that scenario has been mentioned most — if not all — weeks this column has been afloat this season, not to mention in just about every other article that’s focusing on the Sprint Cup Series. That’s no fault of the writer; one would be remiss if the surefire way to lock up a spot in NASCAR’s post-season wasn’t at least referenced, especially when we’re talking wins. It also goes to show you how much emphasis has been on winning in 2014, with six different victors in the first six races of the season. That’s not an easily attainable statistic, as was hit on here last week. 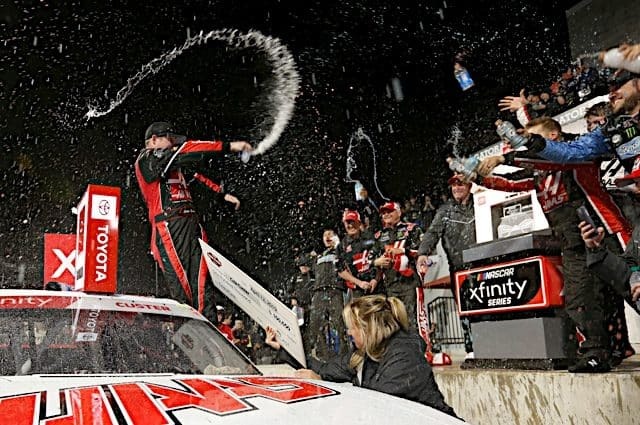 Indeed, while the chances of another first-time winner for 2014 grow slimmer and slimmer with each passing week, why not look forward to this week’s rumble in Texas as another opportunity to fill a slot in the Chase? That’s good, because quite a few drivers could use the boost. 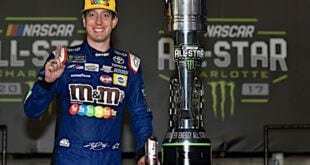 While Dale Earnhardt, Jr., Carl Edwards, Kyle Busch and Brad Keselowski continue to pace the field and Stewart-Haas teammates Kurt Busch and Kevin Harvick heave collective sighs of relief that, hey, they may be floating toward also-ran status in the standings but at least they have that win, there’s a score of competitors — 29 who have started every race in 2014, to be exact — who are still looking for victory lane, or in some cases a simple, solid finish. Texas Motor Speedway could be a saving grace, or at least a turn-around point, for a number of drivers in the Sprint Cup Series. 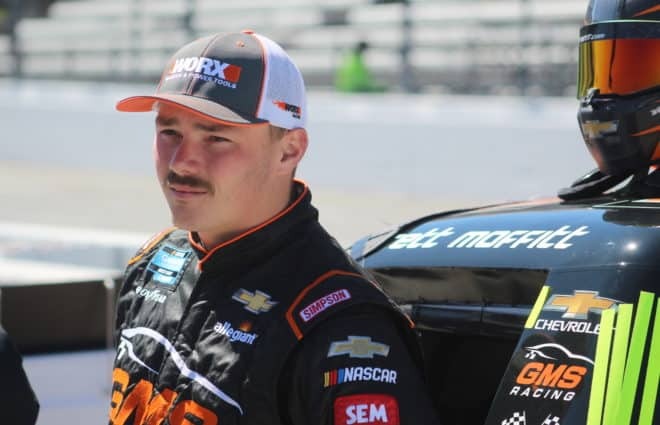 Here’s five racers in particular who could use the Duck Commander 500 as a springboard to success. As long as he avoids rogue pieces of metal, Texas could be just what the doctor ordered for Denny Hamlin. In 16 races there, the driver of the No. 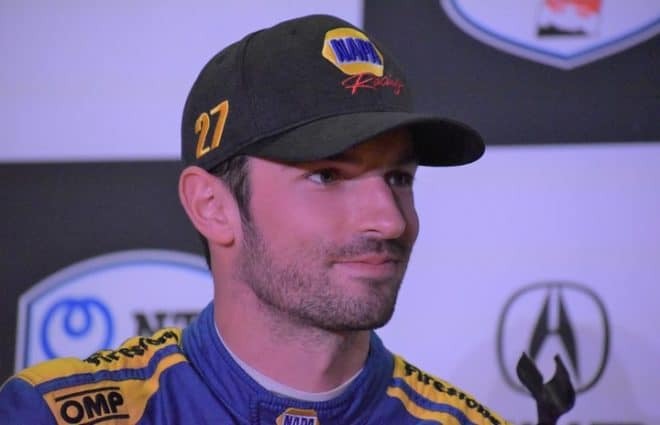 11 has won twice, both times in 2011, and has accrued five top fives and nine top 10s for an average finish of 10.7 — third among active drivers and fourth all time at the track. Though he’s struggled a bit more in recent years at Texas, a seventh-place effort in his only start there in 2013 shows signs of improvement. What’s more: despite having to sit out at Auto Club Speedway, he’s still currently 12th in points, meaning a win would assure him a spot in the Chase for the time being; he’s not in danger of falling outside the top 30 and, per NASCAR’s rules, he’s still Chase eligible. Smoke is all smiles as two of his four cars have already won so far this season. The boss, however, needs to break through, proving he’s fully healed from last August’s broken leg in the process. Two out of the four Stewart-Haas drivers have locked up a Chase berth — why not make it three? Interestingly, Tony Stewart has looked the strongest out of his teammates in recent weeks, even though he’s still looking for that victory to propel him into the Chase — because as it stands, he’s behind 10 drivers who haven’t won a race yet either, and that’s just not going to cut it. A win at Texas would cap off Stewart’s resurgence, and given his two wins at the track over 23 starts, it’s not outside the realm of possibility. Add to that 12 top-10 finishes — over half of his starts — and you at least have a recipe for another strong finish that could vault him higher in the standings. 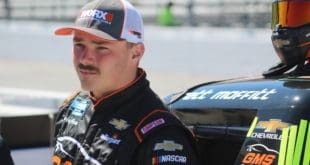 For the third point in a row, a driver who could conceivably lock up a Chase berth this weekend based on past results comes into Texas with two wins at the track previously. 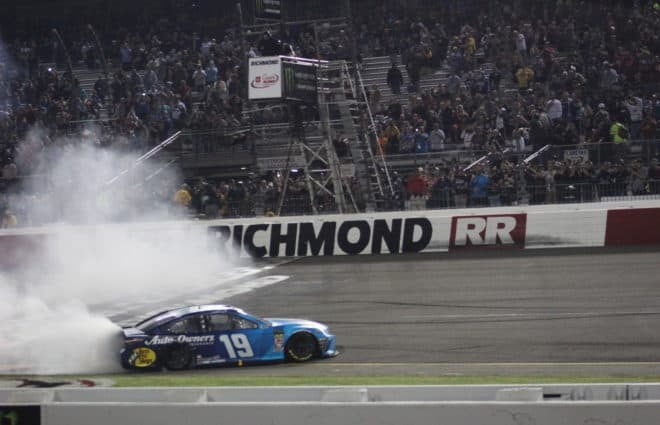 In Greg Biffle’s case, the difference is that he’s the most recent winner there of he, Stewart and Hamlin, scoring his second victory two years ago in 2012. There’s also his stat of 12 top-10 finishes, a number he’s attained in only 20 starts to Stewart’s 23. He’s a little more erratic with his finishes than the other two, with a 15.1 average finish, but when he’s on point in the Lone Star State, Biffle’s tough to count out. He could use it; coming into Texas he’s 19th in the standings, with just one top 10 to his name. Down in the boondocks of the current standings you’ll find Kasey Kahne, the Hendrick Motorsports driver who, frankly, everyone forgets is a Hendrick Motorsports driver. 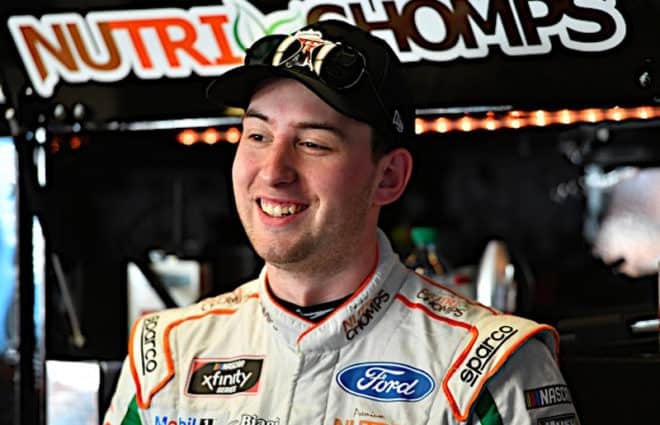 He enters Texas down at 22nd in the standings, with drivers like Casey Mears, A.J. Allmendinger and Marcos Ambrose currently ahead of him; if he doesn’t win soon, he won’t be anywhere near a potential Chase berth if the rest of the spots are filled out by those higher up in the standings who are also winless. Luckily, Kahne has some history at Texas. It’s nothing immensely impressive, but he’s earned one first-place showing, and three of his last five starts there have resulted in top 10s. With just six top 10s total out of 19 starts, he’s a bit more of a long shot, but given 2014’s relative unpredictability, that probably won’t matter at all. It’s been a season to forget so far for Clint Bowyer and Michael Waltrip Racing. Can Texas be the start of a turnaround? Clint Bowyer has one chief difference from the rest of the drivers listed, and it’s quite simple: he hasn’t won a race at Texas. So why is he listed here? When it all comes down to average finish, Bowyer is one of the best in terms of active drivers, with his 12.8 average the fifth best among drivers running this weekend. In 16 starts, he’s also attained a top 10 nine times, meaning that more often than not, he’s going to be running toward the front. For his sake — and Michael Waltrip Racing’s sake as a whole — he’ll be hoping Texas is the turn-around point at which, if he doesn’t at least score his first top 5 of the year, he’ll be in victory lane and delaying talk of a slump.